Lukas Janisch emerged as the winner of the third season of "The Voice Kids Germany." The 13-year-old Filipino-Austrian topped the public vote during the show's finale on Friday night (Saturday morning in the Philippines), taking home the title as "The Voice Kids Germany" champion and the grand prize in the process. His prize includes a training grant worth 15,000 euros and a record deal. During the finale, which was opened by popular British singer Birdy, the Top 6 contestants performed a solo and also sang with their coaches. Their coaches later chose one to represent their teams in the Top 3. After the Top 3 finalists' performances, the audience and viewers were then asked to vote for the winner. The show ended with the announcement of Lukas Janisch as the victor. 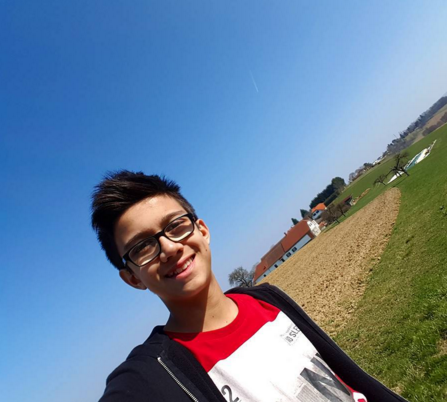 Lukas Janisch and his family reside in Furstenfeld, Austria where his father is from. His mom is a native of Palompon, Leyte in the Philippines. A well deserved win. Congratulations Lukas. Hope to see much more from you in the coming months and years. I believe everyone who heard the first few words Lukas sang, knew that he would be the winner. I know that I did. A voice like that coming out of this 13 year old kid floored me. Fantastic.